Severe outbreaks of vector-borne infectious diseases and their geographic expansion pose a serious threat to vulnerable populations. 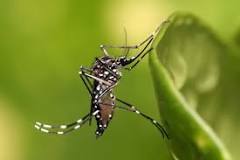 Over 2.5 billion people living in tropical and sub-tropical climates are at potential risk of contracting dengue fever, which has become the most important vector-borne viral disease in the world. Current estimates suggest up to 100 million dengue cases occur annually, of which 1 million cases require hospitalization. 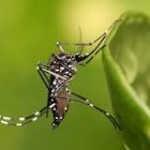 Across Latin America, despite efforts in the 1940s to eradicate the vectors, dengue has gradually re-emerged due to a re-emergence of the vector, population growth, poorly-planned urbanization, increased global travel, diversification of viral strains, global warming, and insecticide resistance. Dengue fever transmission results from complex interactions between the virus, human hosts, and the female Aedes aegypti mosquito vectors – all of which are influenced by environmental factors. A dengue early warning system aims to anticipate periods when environmental conditions are most favorable for an outbreak so timely decisions regarding public awareness, vector control, and disease prevention strategies can be initiated in a cost-effective manner. The over-arching of this study is to develop spatiotemporal models which predict dengue incidence rate based on local weather, regional climate, land-use, population, and socioeconomic parameters for integration into an early warning system for Colombia, South America. This line of research is a collaborative effort with Dr. Eric Delmelle (UNC Charlotte) and Dr. Irene Cases (Louisiana Tech University). The pilot research has funded by grants from UNC Charlotte with additional support from the Colombian Public Health Surveillance System (SIVIGILA). We are currently pursuing funding from the National Institutes of Health (NIH). Sirbaugh, M. E., 2017: Spatiotemporal prediction modeling of dengue fever in Colombia, South America, based on temperature and precipitation. M.S. Thesis, UNC Charlotte, 122 pp. Eastin, M. D., E. Delmelle, I. Casas, J. Wexler, and C. Self, 2014: Intra- and inter-seasonal autoregressive prediction of dengue outbreaks using local weather and regional climate for a tropical environment in Colombia. American Journal of Tropical Medicine and Hygiene, 91(3), 598-610. Delmelle, E., I. Casas, J. Rojas, and A. Varela, 2013: Spatio-temporal patterns of dengue fever in Cali, Colombia. International Journal of Applied Geospatial Research, 4(4), 58-75.